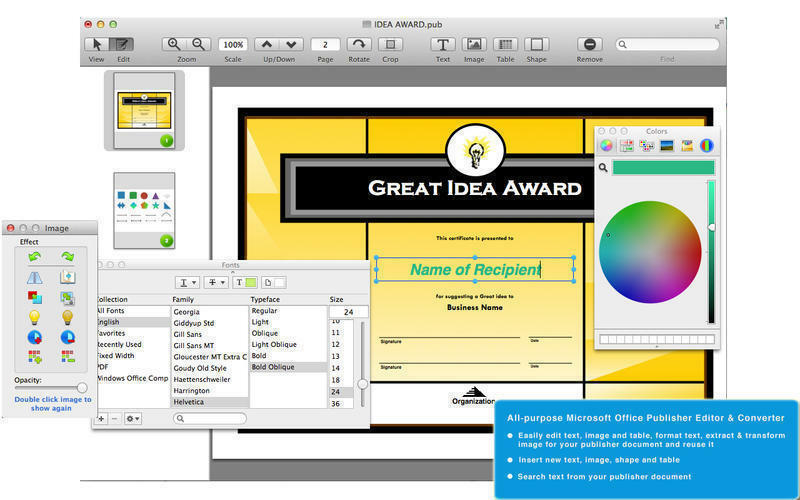 View, edit, convert Microsoft Publisher files. Is there a better alternative to PUB Editor Pro? 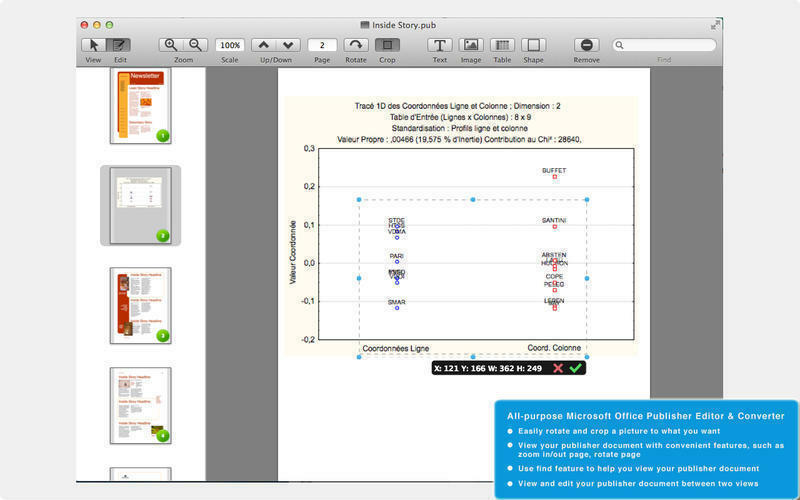 Is PUB Editor Pro really the best app in Word Processing category? Will PUB Editor Pro work good on macOS 10.13.4? With PUB Editor Pro you can easily view, edit, and convert Microsoft Office Publisher (.pub) to Adobe PDF, Image, iWork Pages, Microsoft Word and PowerPoint formats. PUB Editor Pro is a must-have app for anyone who reads, edits, or converts Microsoft Office Publisher documents on Mac. 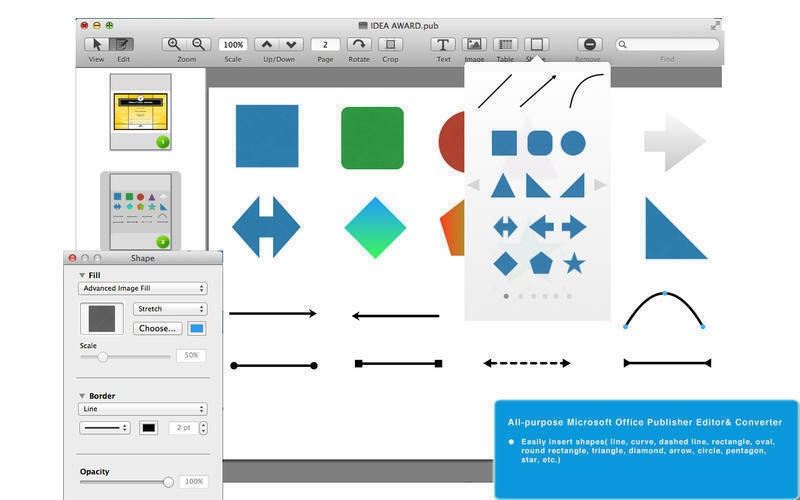 It allows you to edit publisher documents with text, image, table and shape (line, curve, dashed line, rectangle, oval, round rectangle, triangle, diamond, pentagon, arrow, star, etc. ), or insert new text, image, shape and table. 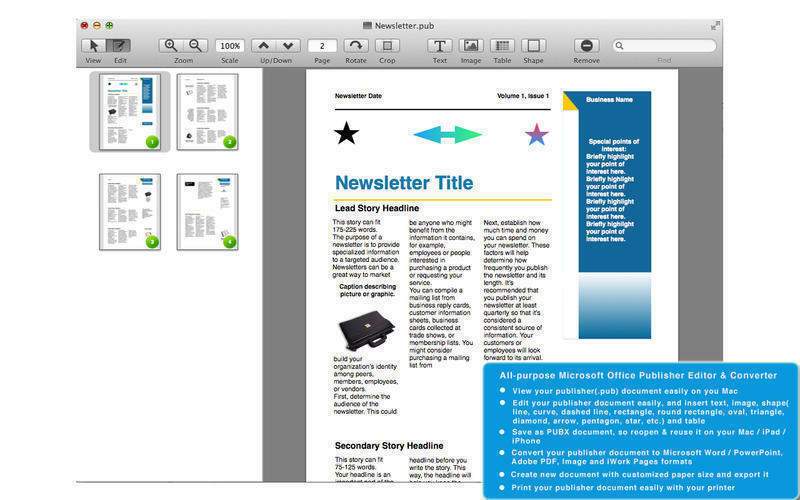 Moreover, PUB Editor Pro is the best choice for reading or printing on your Mac. 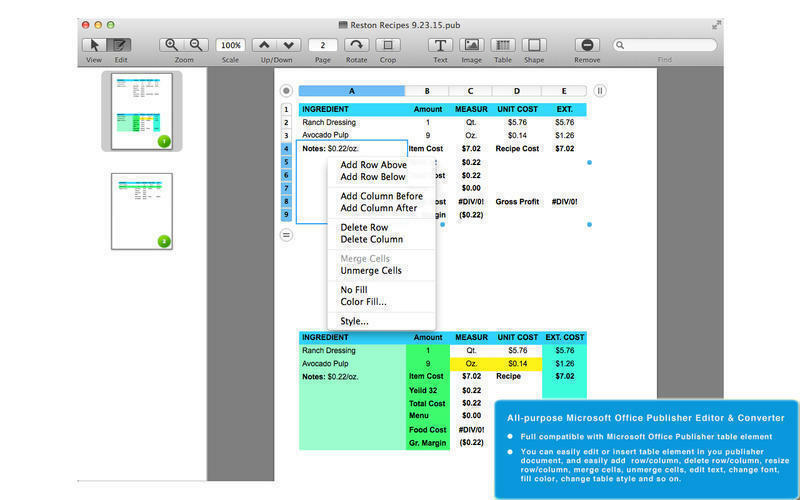 You can save as PUBX document, so you can reopen and reuse it on your Mac/ iPad/iPhone. You also can easily view, edit and convert MS Office publisher with our iPad (Publisher Expert) and iPhone (Publisher Pro) edition, they are fully compatible.